Was Osho killed? Murdered by the US government? That's the thought that remains with you as you finish Osho's 'autobiography'. Although Osho has been credited as the author of Autobiography of a Spiritually Incorrect Mystic, it has been put together by his followers. I was interested in finding out about the life of the man behind all those seemingly outrageous opinions and meditative techniques. And it makes for a fascinating read. 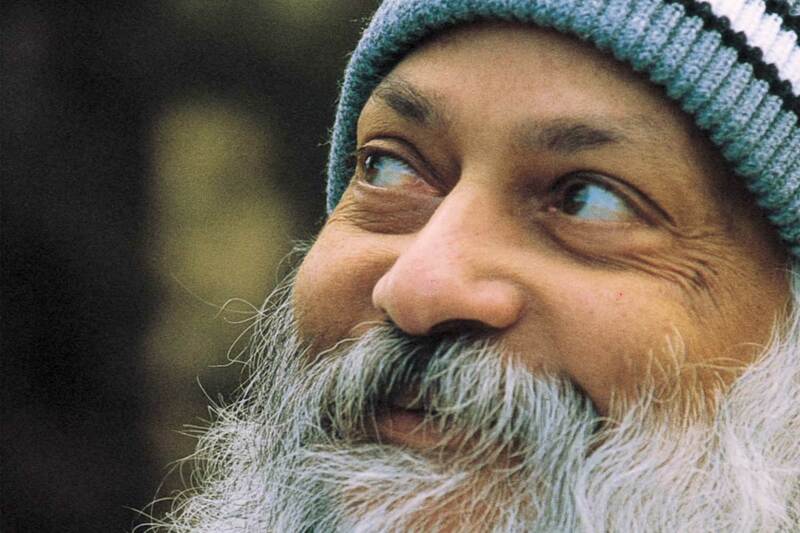 Equally fascinating, and some might say, titillating, are the 2 Netflix documentaries on Osho: Wild Wild Country and Guru: Bhagwan, His Secretary & His Bodyguard. From these readings and viewings, the philosophy of the most charismatic spiritual leaders of our times becomes apparent - somewhat. It is not possible to glean his entire thought process and methodology even if you happened to be a close confidante. Perhaps, in many ways, it is meant to be that way. Spiritual mystics are meant to be inscrutable and unfathomable - one of Osho's methods was to shock/titillate his followers into some kind of awakening. Hence you find him, at various times, being jovial, being disinhibited, being cantankerous, lashing out at religious practices, advocating dynamic meditation, advising followers to have sexual contact with each other, owning a fleet of Rolls Royces, using drugs, etc, etc. But at no other time was his controversial philosophy debated, abhorred and targeted more than during his disastrous stay in America. This is addressed very well in the 2 documentaries, especially in the 6-part Wild Country. One can't help wondering, in hindsight, why his secretaries ever select this place for his commune? Did they honestly believe that the conservative Christian local population would put up with such practices as personal meditation and sexual expression (as opposed to repression)? Promptly, the Americans - both the general public and the legal/administrative leaders - reacted as they continue to do towards anything that they see as a threat to their faith, culture and nationhood (remember WMD?). They came down like a ton of bricks on the nascent community with multiple legal proceedings and forced Osho to agree to flee US. His commune did not help its own cause with its in-your-face attitude and infighting - mostly by Osho and his two groups of close confidantes. When it mattered most, Osho himself could have practised silence, as he most often did in his commune. But he came out with allegations against his secretary, Ma Ananda Sheela, which opened the doors to the final, decisive legal proceedings. What's not shown in the documentaries (but is mentioned in the book) is that Osho was hounded by the US, and had to move from country to country after his legal settlement in US because he was denied asylum wherever he landed. Sadly, he experienced this even in India, thanks to the bullying tactics by the 'Policeman of the World'. It is particularly disgusting to know how the US president arm-twisted the president of the one country that did give him asylum - Uruguay (by threatening to impose sanctions), and compelled him to expel Osho. As if that weren't enough, it is also said that Osho died from the effects of thallium poisoning carried out by the US state during his incarceration in US jails. I wouldn't be surprised if the Vatican influenced the US government in persecuting Osho, as later media reports speculated. Coming to more positive findings from my Osho study. Osho's philosophy struck me as being crystal clear with regards to what matters and what does not in spiritual life. This is evident even from his early life experiences. In the book, he gives a vivid description of his enlightenment moment. There are also hilarious anecdotes of how the child Osho confronted a Jain monk at his grandparents' house with unanswerable questions; and how he conducted his classes when he later became professor at a college - very informally and irreverently, much to the chagrin of his exasperated principal. He also gives rational explanations to most of his seemingly outlandish whims and fancies. Osho dedicates a chapter to understanding mental health issues, as they are studied and practised in the West. He says, 'Sigmund Freud introduced psychoanalysis into the world. It is rooted in analyzing the mind. It is confined to the mind... The goal of Freudian psychoanalysis is not very great. The goal is to keep people normal. But normality is not enough...' Instead, Osho advocates standing out of one's mind - or ecstasy, or transcending the mind itself. Broadly, I agree with two particular philosophies of Osho: his critique of organised religions, and the need to address repressed emotions and sexual impulses. Osho is unsparing in his criticism of organised religions; none of the major religions of India and the world escape his irreverence towards them. And here's the thing - his criticism does not feel exaggerated; indeed one would be hard-pressed to come up with an acceptable counter-argument to his criticism. Basically, Osho advocates stripping Faith of all its unhelpful coverings - rituals, rigidities and falsehoods - leaving only the spiritual core that really matters. For repressed emotions, he advocates (among many others) a meditative technique that involves 'boiling up' oneself through rapid breathing, letting go of pent up and repressed emotions through crying/yelling/thrashing out, and finally observing a period of silence. He rightly points out that it is only after these repressed emotions are sublimated, the mind becomes conducive to meditation, which requires stillness and silence from within. Why is every language called the mother tongue? Because the mother speaks and the father listens - and that's how the children learn. That's how I learned. Once you are ready to say, "I don't care about respectability," then the society is absolutely impotent to do anything against your will. All holy books are corpses, dead flowers and nothing else... Truth, the living truth, has to be discovered by each individual by himself. Nobody can give it to you. The moment truth is organized, it becomes a lie. An organized religion is nothing but a hidden politics, a deep exploitation by the priesthood. They may be shankaracharyas, imams, rabbis, or popes - it makes no difference. True religion has no name, it cannot have any name. Buddha lived, Jesus lived it - but remember Jesus was not a Christian and Buddha was not a Buddhist, he had never heard of the word. The truly religious people have been simply religious, they have not been dogmatic. ...Christianity has not developed the science of meditation in any way. It has remained a very mediocre religion; so is Judaism. Enlightenment is a very individual process. Every person passes through different phases, because every person in many lives has gathered different kinds of conditionings. You cannot do meditation, you can only be in meditation... Dhyana is dropping all contents of the mind and just being. I am an incurable dreamer. But I can say to you that whatever I have dreamed in my life, I have managed it without doing anything. Just a proposal to existence. Osho may have been killed. But Osho-hood continues to thrive, and draw in adherents by the millions; his message lives on. You can adore Osho; you can hate Osho. But ignore him and his message at your own peril.